When you’re in pain, you just want to make it stop. You or a loved one may be recovering from an injury or surgery, or dealing with chronic pain. Your doctor may have prescribed an opioid medication to treat the pain. But while the medication may ease your symptoms, you may be worried about opioid addiction. Doctors, pharmacists and patients alike have expressed growing concern in recent years about the opioid epidemic and the risks that come with this class of medications. The United States has only 5% of the world’s population, but consumes about 80% of the world’s opioid medications. About 12.5 million Americans misused prescription opioids in 2015. More than 33,000 died from overdosing on opioids in 2015, including more than 15,000 who overdosed on prescription opioid medications. About 60% of all drug overdoses in the U.S. are caused by opioid medications. The most common drugs involved in opioid overdose deaths are methadone, oxycodone and hydrocodone. What are opioids and how can you stay safe if you’re taking them? Are there alternative treatments that might be less risky? Let’s talk about how opioid medications work, why they carry a risk of addiction, how to recognize the symptoms of opioid addiction, and how a medication management program may help to reduce your risk of addiction. Opioid medications change how the body responds to pain by lowering the number of pain signals that go to the brain. For most people, legally prescribed opioids are safe when used correctly on a short-term basis. However, improper usage can lead to opioid addiction. Any patient who has been prescribed opioid medications for long-term pain management is at risk of addiction. Dependency. The patient experiences withdrawal symptoms when he or she stops taking the drug. Addiction. This is a disease in which the patient cannot control his or her use of the drug, and the body and mind have difficulty functioning without the drug. Opioids alter the brain and body the longer they are used. The drugs create artificial endorphins, which are hormones that make the patient feel good. If opioid medications are taken for too long, the brain may stop producing its own natural endorphins. One way to avoid addiction is to limit your dosage and how long you take the drug. You are less likely to become addicted if you take opioid medications for no longer than a week. Using opioids for more than a month can cause dependency. If you or a loved one have been prescribed opioid medications, you need to be mindful of the risks involved, as well as the symptoms commonly associated with addiction, overdose and withdrawal. Your doctor may prescribe special medications to ease withdrawal symptoms and reduce cravings for opioid medications. The patient may also benefit from behavioral therapy to help control cravings, reestablish relationships and restore a healthy quality of life that may have been damaged by the addiction. 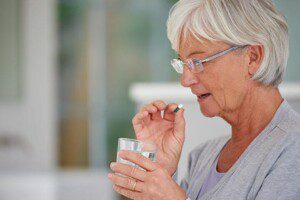 Can Medication Management Help You Avoid Opioid Addiction? Opioid medications generally work best on a short-term basis, such as recovery from surgery or an injury. For chronic pain and other long-term conditions, they can actually become less effective and cause pain to worsen over time because the patient develops tolerance. For long-term pain issues, ask your doctor or pharmacist about alternative treatments that don’t include opioid medications. To help with this, Integrity Pharmacy provides patients with a regular, monthly medication review by a clinical pharmacist as part of its comprehensive medication management program. It’s especially useful for patients who have been recently discharged from a hospital or rehabilitation setting, or for those taking multiple medications. A regular medication review can be used to update your treatment regimen, identify alternative therapies and discontinue opioid medications when they are no longer needed and may pose a risk of addiction or overdose. Do you or a loved one have a prescription for one or more opioid medications? Are you concerned about the risk of opioid addiction? Do you want to learn about alternative treatments that may be a good fit? Contact us at Integrity Pharmacy. We’ll provide the information you need and help you establish a customized medication management plan that may lower your risk and maximize your quality of life.